As healthcare professional undertaking the PgC EAPS you are preparing to enter the ‘profession of teaching’. This is considered a secondary profession for you as your first or ‘primary’ profession is nursing, radiography, podiatry or paramedic practice etc. Consequently the programme introduces you to an new evidence base. This new evidence base is around pedagogy, or the theory and practice of teaching. Theoretical concepts drawn from education theory along with educational research, underpins the PgC EAPS. 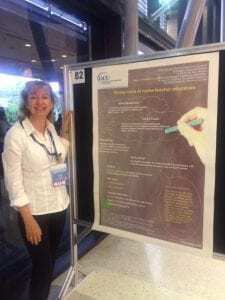 As part of my doctoral studies, this year I presented at the WHO conference in Cairns, Australia. 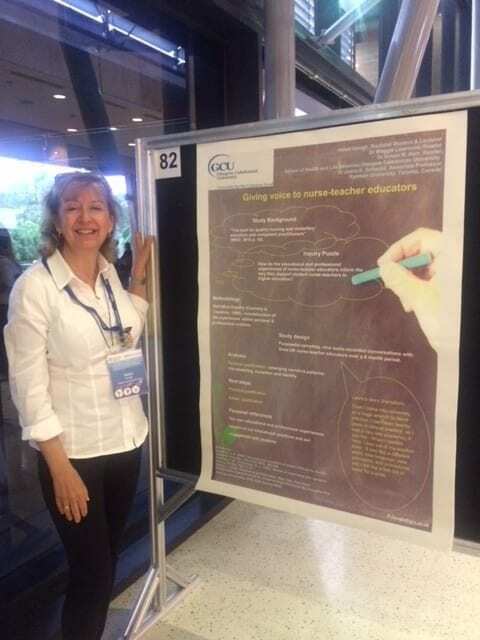 My doctoral work (and poster) focuses on those of us who teach nurses (and other health professionals) to become teachers. So really the ‘teachers of teachers’. Some of the material I have sourced for my study, plus the early findings will be used in class in both year 1 and 2. By undertaking the PgC EAPS you are entering a secondary profession that currently is accredited by the NMC (NMC teacher) and Higher Education Academy HEA Fellowship (now HE-Advance). These professional /regulatory organisations have developed outcomes for their awards and it is these outcomes that direct the programme theory and practice. We look forward to supporting you on your journey to become teachers.